W. Keith Campbell, Ph.D., Professor of Psychology at the University of Georgia, is the author of more than 150 scientific articles and chapters, and the books, When You Love a Man Who Loves Himself: How to Deal with a One-way Relationship; The Narcissism Epidemic: Living in the Age of Entitlement (with Jean Twenge); The Handbook of Narcissism and Narcissistic Personality Disorder: Theoretical Approaches, Empirical Findings, and Treatments (with Josh Miller), and Personality Psychology: Understanding Yourself and Others (with Jean Twenge). 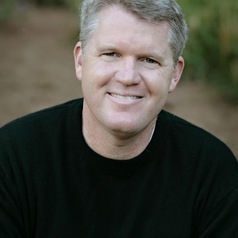 His work on narcissism has appeared in The New York Times, USA Today, and Time, and he has made numerous radio and television appearances, including The Today Show, NPR’s All Things Considered, Fox News, and CNN. He speaks to organizations around the globe on the topics of narcissism, generations and cultural change. He holds a BA from the University of California at Berkeley, an MA from San Diego State University, and a PhD from the University of North Carolina at Chapel Hill, and did his postdoctoral work at Case Western Reserve University. He lives in Athens, Georgia, with his wife and daughters.